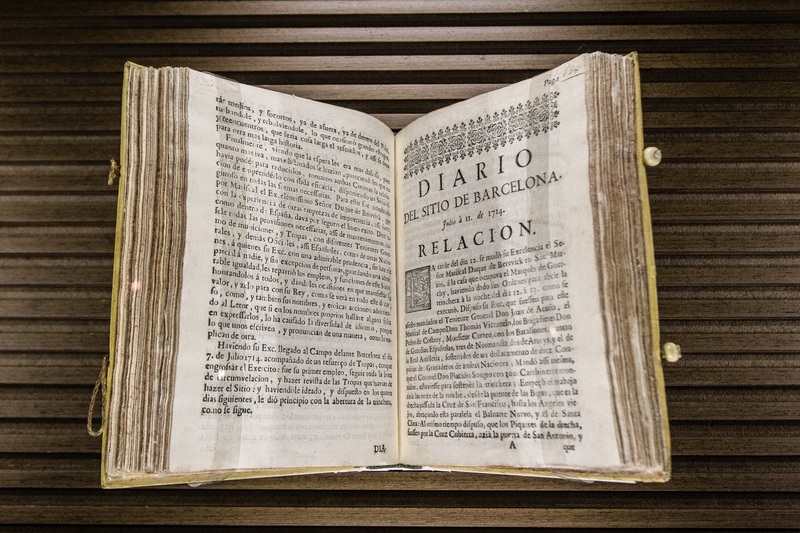 This exhibition project centres on revisiting two historical events: the Siege of Barcelona in 1714 and the dictatorship of General Francisco Franco and their effects on the present and the future of Catalonia. 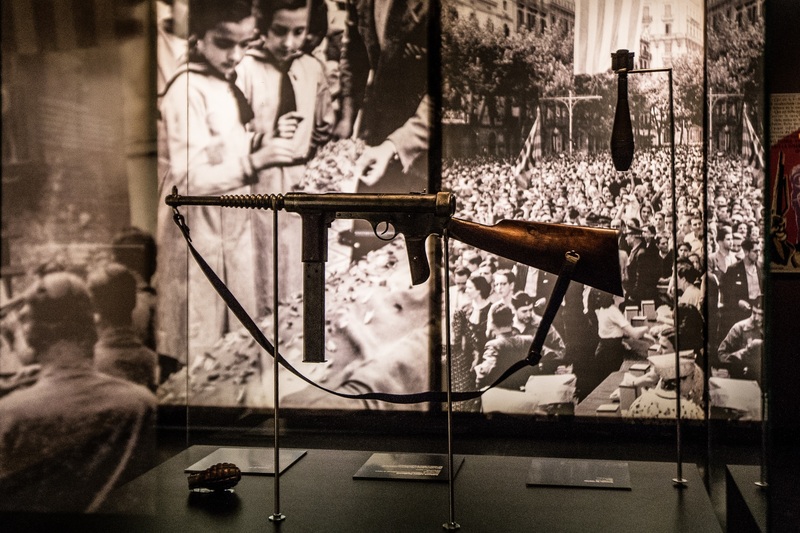 The value of this exhibition does not lie only in the pieces exhibited; the goal is to recover the recent history of Catalonia through two historical events: the Siege of Barcelona in 1714 and the dictatorship of General Francisco Franco. 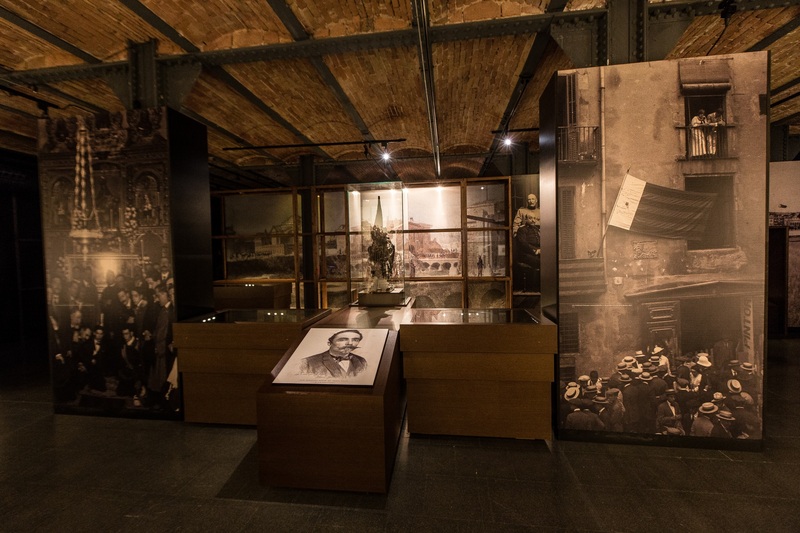 These events open and close the path of the exhibition; they concentrate the dramatic meaning generated by the museographic narrative. 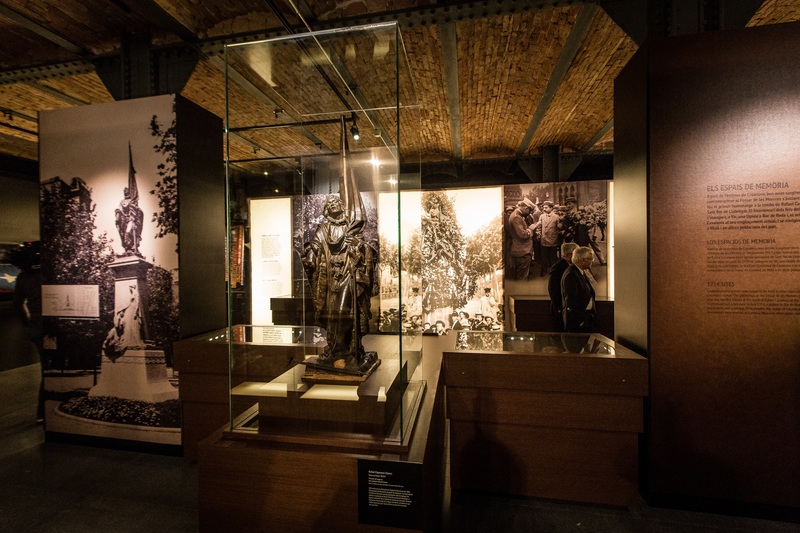 At the beginning of the visit, the visitor enters a trench where darkness seeks to convey a feeling of claustrophobia, similar to that suffered by the combatants during the Siege. A collapsed architectural element represents the fall of the city and the rights of citizens under the Nova Planta decrees. Upon leaving this trench, a point of hopeful light marks the path toward the sculpture of Rafael Casanova. 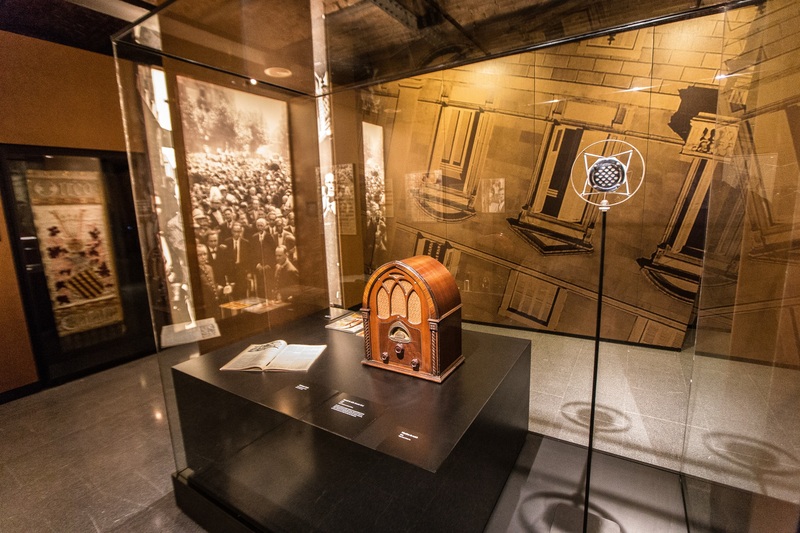 The second part of the exhibition is organized around an axis that runs through the 20th century and part of the 21st. The hopeful time of the Republic is interrupted by the difficult times of the dictatorship. 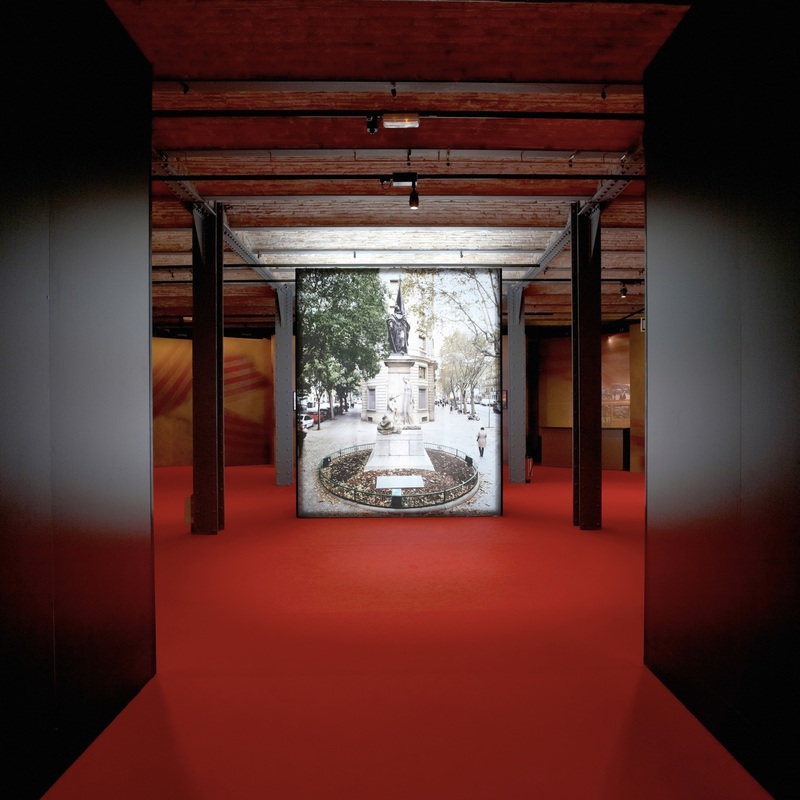 The feeling of oppression is materialized in an installation that confronts the figures of the dictator Francisco Franco and Lluís Companys. From the outside we see the façade of the Palau de la Generalitat turned upside down. At its centre we see the statue of the dictator reflected in a mirror. 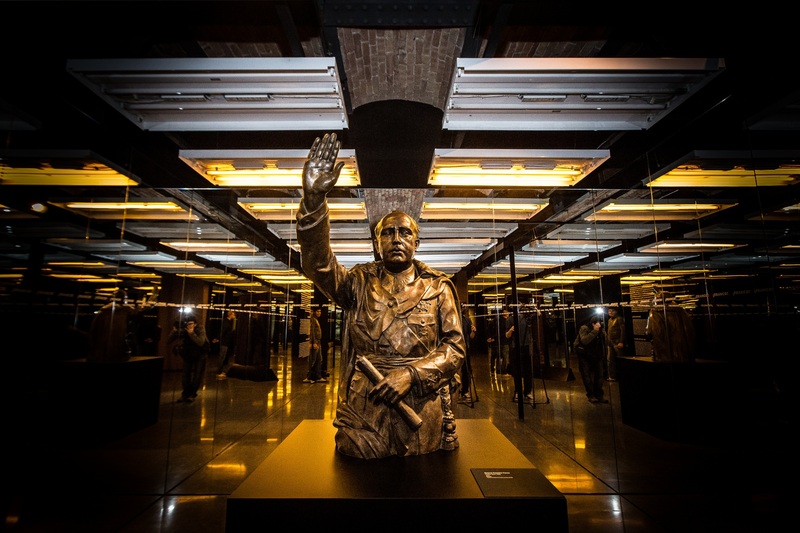 Once we are inside, we see that Franco is actually on the right, completely surrounded by mirrors that multiply his figure to infinity – a kaleidoscopic effect that represents hell with a yearning for ubiquity and eternity. Between the mirrors, there are cracks that reveal objects related to clandestine resistance to the regime. 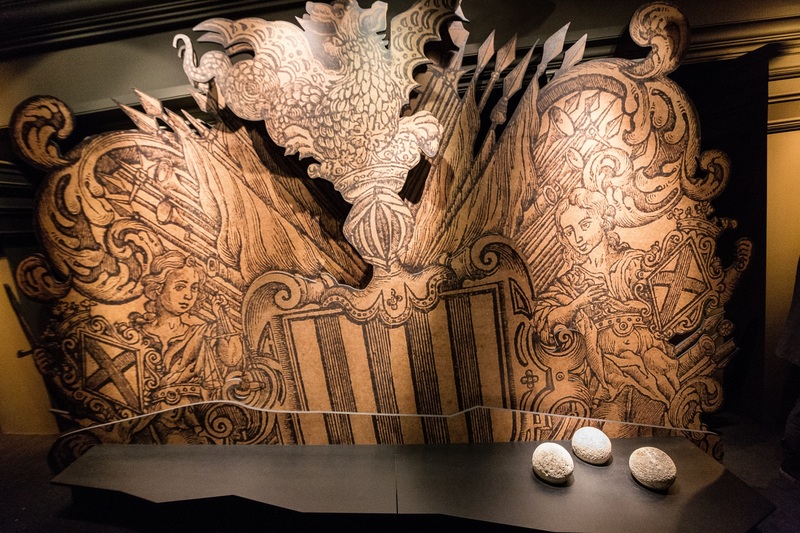 If we approach the image of Companys, we find that the mirror that reflected the dictator at the entrance now shows us the way toward the sculpture of Rafael Casanova, in its current location. After 40 years of repression, this monument symbolizes the need for historical revision, a key tool for determining the future of Catalonia.